Most Americans will experience an episode of significant back pain over the course of their lives. The good news is: most back problems get better on their own – approximately 90 percent of patients with lower back problems recover within six weeks, including those with disk herniations. If you suffer a back injury, treat your injury with rest, ice, and over-the-counter medications such as acetaminophen or ibuprofen. However, if you begin developing tingling, numbness, or pain radiating down one or both legs, or if you have pain and numbness in your legs when you walk, you should consider seeing your physician or visiting an urgent care facility. If you develop a fever, chills, or have urinary or bowel incontinence, you should seek medical care immediately. If your physician feels you can benefit from specialty care for your back injury, he or she will refer you to the appropriate specialist. 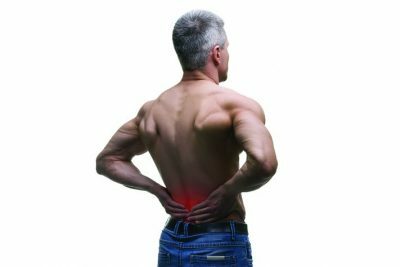 The treatment of back injuries is complex and is best provided by a multidisciplinary team. This team can include specialties such as Primary Care, Rehabilitation Medicine, Neuroradiology, Primary and Interventional Pain Management, Neurosurgery, and Orthopedics, as well as Physical and Occupational Therapy, all of which are available at Benefis. As we mentioned earlier, most back injuries will heal themselves, however, if that is not the case, our philosophy is always to treat injuries with the most minimally invasive approach necessary with the goal of reducing pain and restoring movement. Before we can begin treatment, however, back injuries often require some form of diagnostic imaging, whether it is an x-ray, MRI, or CT scan. Do not be alarmed as your doctor reviews the imaging with you—many times the report sounds worse than what it is. As we age, the spine develops degenerative changes that can be seen and described on x-rays or MRIs, but don’t necessarily mean you will need surgery for your symptoms to improve. Following diagnostics, the doctor will evaluate the injury and work with you to develop a personal care plan for your recovery. For less severe injuries, these treatments can include physical or occupational therapy and medication to help manage your pain. Whereas more severe injuries may require steroid or anesthetic injections directly into the back, a referral to a pain management specialist, or as a last resort, you may need surgery. There are many types of spine surgery, and your surgeon will work through the options with you. The type of surgery will depend on what is determined to be causing your pain, as well as your age and recovery goals. The treatment of spine injuries is continually evolving with many advancements taking place in both conservative and surgical care. Whatever the degree of treatment needed for your spine injury, you can rest assured that you are in good hands at Benefis. Our spinal surgeons have over 100 years of combined experience treating spinal pathology, and we will recommend the most appropriate treatment for your personal needs. For more information about treatments available for your back pain, call the Benefis Spine Center at (406) 731-8370. ~ Dr. Benny Brandvold is a Benefis Neurosurgeon with over 25 years of experience. Outside of work, he enjoys refereeing soccer, and collecting political campaign memorabilia. ~ Dr. Paul Miller is a fellowship-trained orthopedic spine surgeon at Benefis. In his spare time, he enjoys woodworking, golfing, and restoring muscle cars.